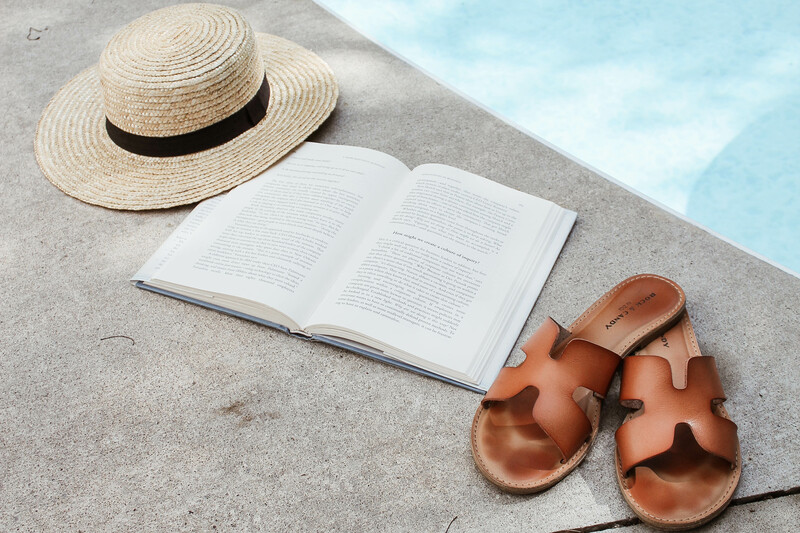 I’m not sure if you’ve noticed, but the Hermes ‘Oran’ sandal has taken over Instagram this Summer. It’s literally everywhere. And honestly, I really love the look of them! But the real deal is $810 dollars, and I had been seeing a ton of less expensive options pop up. So I started searching for a pair that looked similar but didn’t break the bank. One thing I knew was that I didn’t want to spend too much money on them, in case I grew bored of them by the end of Summer, and that I also wanted a pair with foot support. Some of the dupes I had seen were crafted with just a flat sole, and I don’t find those overly comfortable. I have a couple sandals with flat soles and I find I just don’t reach for them as often. I can’t wear them for long periods of time without my feet aching, and I really wanted to get my wear out of these. So padding was a must. Below are my favourite finds!